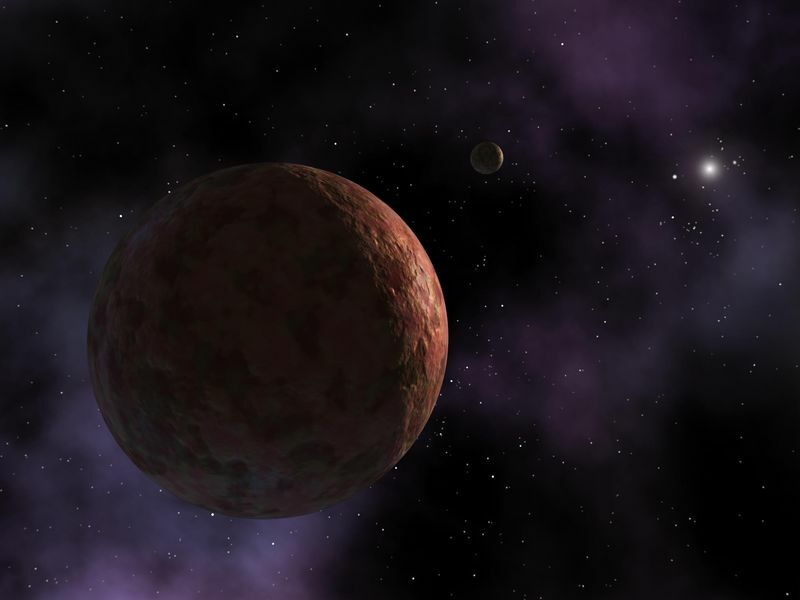 In this artist's visualization, the newly discovered planet-like object, dubbed "Sedna," is shown where it resides at the outer edges of the known solar system. The object is so far away that the Sun appears as an extremely bright star instead of a large, warm disc observed from Earth. 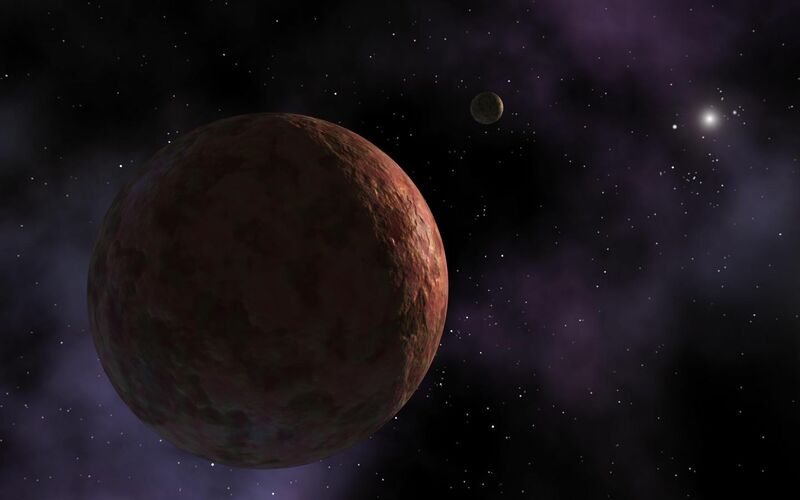 All that is known about Sedna's appearance is that it has a reddish hue, almost as red and reflective as the planet Mars. 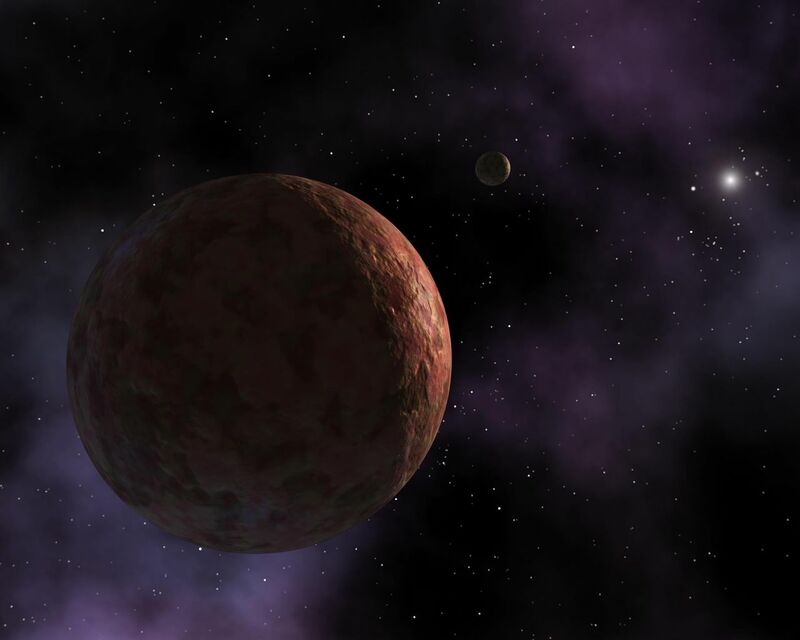 In the distance is a hypothetical small moon, which scientists believe may be orbiting this distant body.